Happy New Year to you! 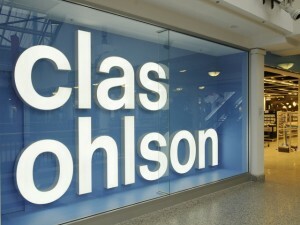 You may recall that back in August last year (referring to 2009 as ‘last year’ is bound to take some getting used to) I blogged about the latest Scandinavian arrival to these shores, the self-styled “really useful shop” Clas Ohlson. Back then, the retailer had already opened stores in Croydon (1,900 sqm / 20,451 sq ft) and Manchester (2,500 sqm / 26,909 sq ft), and had announced plans to open in the former Woolworths stores in Reading and Kingston-upon-Thames (each 1,900 sqm / 20,451 sq ft). In my blog at the time, I suggested that Newcastle upon Tyne would welcome a Clas Ohlson of its own, and proposed the three-storey, 17,000 sq ft former Zavvi unit facing Northumberland Street as a perfect location. 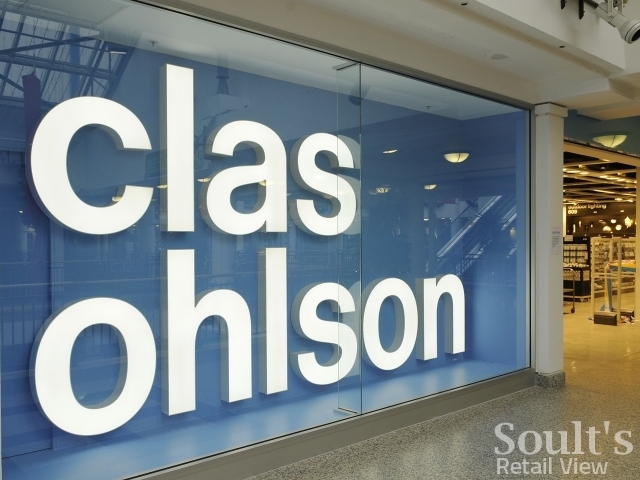 Sadly, there is no news, as yet, of Clas Ohlson coming to the North East; however, recent news has confirmed the retailer’s march northwards, as well as the suitability for Clas Ohlson of former Zavvi shops. In September, Clas Ohlson announced that it was taking over the 1,035 sqm (11,140 sq ft) vacant Zavvi unit in Watford’s Harlequin Centre. This store opened on 10 December, reportedly to a crowd of 400 waiting shoppers. Last month, the retailer announced two further openings. The first is a 1,650 sqm (17,760 sq ft) shop in Liverpool’s Clayton Square Shopping Centre – again a former Zavvi unit – which is expected to open in April. The second, announced only last week, is for a large 2,150 sqm (23,142 sq ft) store in The Headrow in Leeds, occupying what I understand is the last available unit of the former Allders/Lewis’s building. This historic property has been carved up and redeveloped as ‘Broad Gate’ since Allders folded in 2005, and already hosts TK Maxx, Argos and Sainsbury’s. Our expansion in the UK continues with three new stores opening in the London area in November and December. We are focusing intently on contracting attractive store locations and building a strong, long-term market position for Clas Ohlson in the UK. British consumers have shown a keen interest and are positive toward our product range, prices and service level. The recession is also improving the opportunities for contracting and establishing stores in attractive locations and at an attractive rent, primarily in the UK market… During the 2009/10 financial year, the aim is to establish 15-20 stores, of which four to eight in the UK. All this, plus Clas Ohlson’s growing record of opening stores in the major northern cities, must surely make a Newcastle store a strong possibility in the coming year. 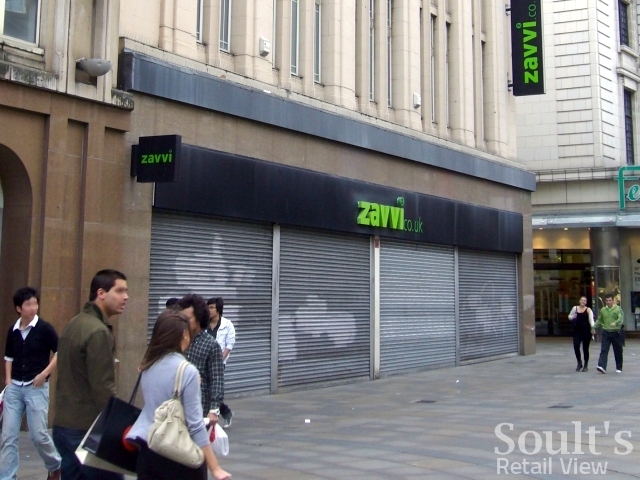 And what of Newcastle’s former Zavvi? Last time I walked past, just before Christmas, there was still no sign of anything happening. Also, I’ve heard nothing more, thankfully, of the nonsensical plans to turn it into a branch of Barclays Bank. However, a planning application for the “installation of new shopfronts with roller shutters to Northumberland Street and Brunswick Place elevations”, submitted by Monument Mall owner St Martins Property Group, was granted back in September.